Home > CONTESTS > MHF Member Of The Month April-2017 is Dylan Taylor! 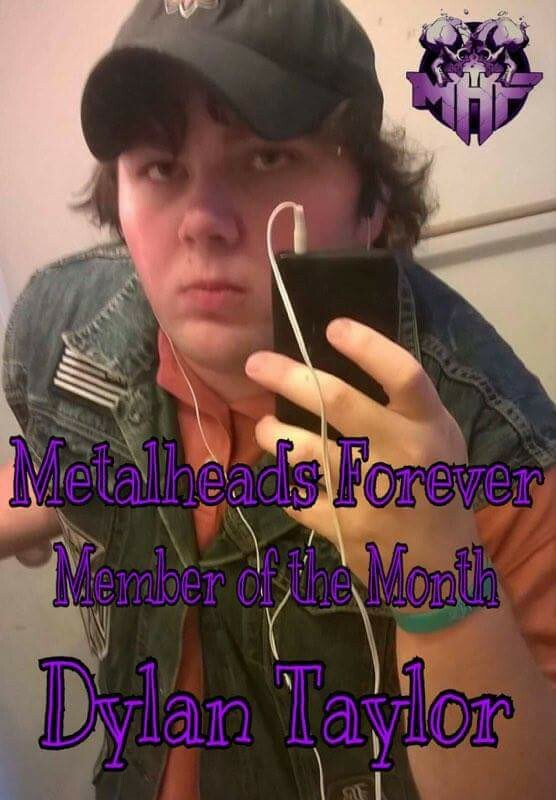 April’s member of the month in Metalheads Forever is Dylan Taylor! Dylan is 24 years old, lives in Louisiana, and he loves to rock! His favourite bands are Pantera, Black Label Society, Metallica, Lamb of God, Acid Bath, AC/DC, Black Sabbath, Down, Corrosion of Conformity, and many more. Dylan is one of the nicest guys I’ve ever met, always friendly and has a nice word for everybody. It’s no wonder, he won the pole for member of the month by an overwhelming count. Congratulations, you are a worthy winner, and thank you for your dedication to MHF!